At Bayshore Limo, we have a beautiful selection of new limousines. The party starts as soon as you step into one of our rolling nightclubs. Our fleet is modern, well maintained, and equipped with every technological marvel needed to throw a great party. Tone it up or down as much as you like with passenger touch screen controls over lighting, music, televisions, climate, and privacy. Getting there is 90% of the fun with Bayshore Limo. Our professional and friendly chauffeurs will even help set the mood for your wedding, bachelorette, bachelor, birthday, concert, or anniversary celebration. Visit as many locations as you like without having to worry about splitting up the party, traffic, directions, and the dangers of drinking and driving. If you have any questions, then give us a buzz or fill out the inquiry form below. Congrats on your engagement! Now it's time to plan the best part of a wedding celebration - the bachelorette party. The Tampa Bay area has a myriad of activities to enjoy with your favorite girlfriends. We would love to help you pull off the perfect girls day or the most unforgettable girls night out ever! Plan a full day of activities around town, or spend the day relaxing at a slower pace. Have a massage or a pedicure at one of Tampa Bay's amazing hotels or spa facilities. Combine your spa experience with drinks or lunch overlooking the Gulf of Mexico at the Don Cesar exclusive spa terrace. From there you can spend the afternoon on the beach, gently working on your pre-wedding tan, or perhaps bar hopping for drinks water-side. You also may want to rent a party boat or jet skis to really get out on the water. If you're staying inland, use the day to get some last minute accessory or gift shopping finished at Tampa's many bridal boutiques and specialty shops. If you're hungry earlier in the day, have a classy champagne brunch at Oyster Catchers or Jackson's downtown. For hunger pains after your day of fun, settle down to enjoy Tampa's culinary expertise at one of our excellent restaurants. There's no shortage of great nightlife around Tampa Bay - especially if you have a Bayshore limousine for full access around town. Start the night off at South Tampa's SOHO district for dinner and evening libations. Jump in your beautiful stretch limousine and its off to a few more tampa hot spots. Ybor city will show you a good time with its world class night clubs and hopping bar life. Or hit downtown St. Petersburg for upscale dining, excellent live music, and wild bars. Our limousine will drop you off celebrity style, right outside each club. We can help plan the night from start to finish, follow your planned schedule, or let the night unfold spontaneously. At the end of the evening, be assured that we will get you home safely. Hopefully you'll be feeling good the day after your party. To help make that goal a reality, we will provide plenty of water (and sports drinks if requested) to keep you hydrated between stops. We're looking forward to your fun night out, and see you at the wedding! Lucky you! You get to plan a bachelor party in Tampa, the bachelor party capitol of the world. It does not matter what time of year you are planning your party because in Tampa it is always summer. 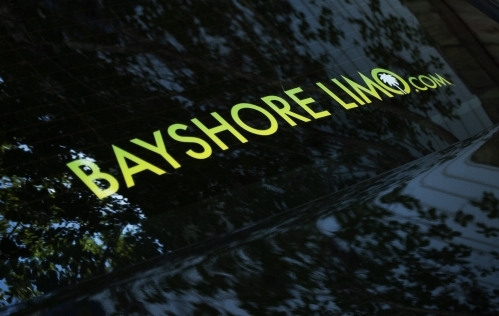 Bayshore Limo can handle your entire party whether it be a full day of events or a night on the town. Start the day with sport fishing on beautiful Tampa Bay or the Gulf of Mexico. Take a pontoon boat ride up the scenic Hillsborough river for fishing and river bar hopping. Like trying new brews? The Tampa Bay area is home to at least 18 breweries with more popping up every year. Visit as many as you want on our exclusive limousine tour of local breweries. Take in a game with the Buccaneers, Lightning, Rays, and many more. Enjoy a thrilling paintball match at one of our many arenas and fields. Miles of beach action loaded with excellent bars and restaurants can be found in nearby St. Pete and Clearwater. Be sure to load up on the sunscreen. Feel like taking a few laps around a racetrack in an exotic supercar? The Exotic Driving Experience is only one short hour away. Relax and enjoy a post race toast during the trip home because you're riding in a Bayshore Limo. Getting hungry after a day of action? South Tampa does not tell any jokes when it comes to world class cuisine. Grab an energy drink because an evening of Tampa's famous nightlife is coming your way. Ybor City or the Soho district may be enough on their own for any normal night of partying, but not when you've got a serious bachelor party on your hands and the sharpest stretch limousine in town from Bayshore Limo. Hilarity and refreshing beverages are on tap at Tampa comedy clubs. Be sure to support our local tribe with a trip to the Hard Rock Casino for some slots, poker, blackjack, and more restaurants and nightclubs. Show your appreciation for the female form at one of our world famous exotic dance clubs. You can do it all without worrying about the details because Bayshore Limo can plan the entire event and will get you home safely. Can't remember anything? Neither can we, mum's the word at Bayshore Limo (as long as its legal). See you at the wedding!